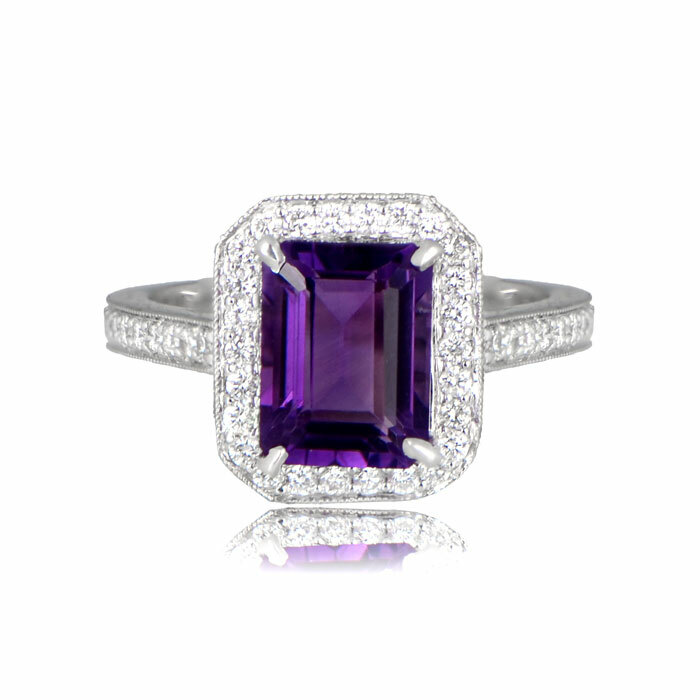 A beautiful estate color-stone ring, centering a 2.00 amethyst. 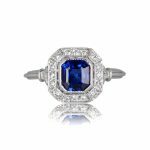 Surroundig the center stone is a halo of diamonds and set in a stunning platinum mounting. 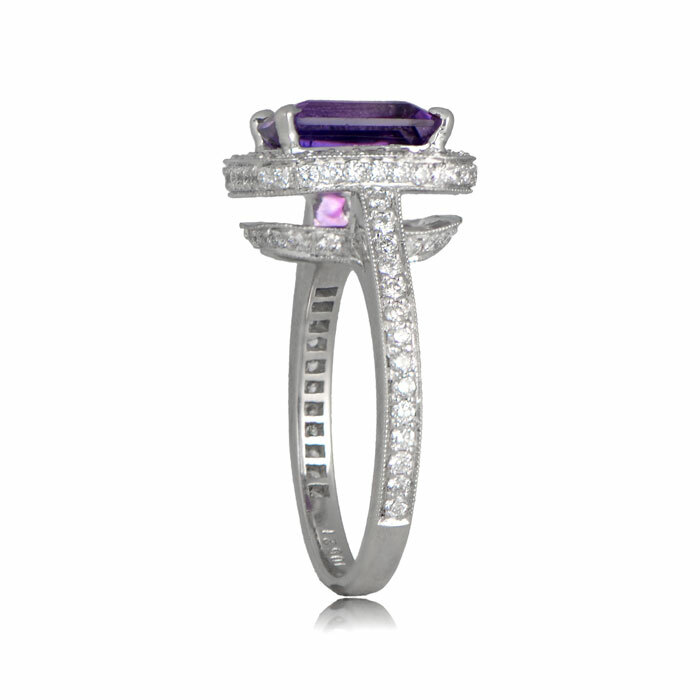 The shoulders and under-gallery and also accented with diamonds. 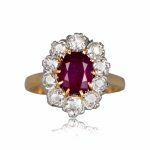 The ring is currently sized to size 7, but it can be sized to any size at no extra cost. 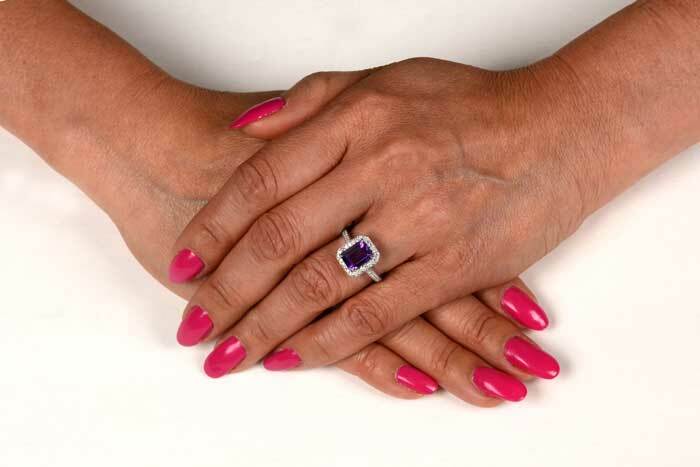 SKU: 11911 Categories: Amethyst Rings, Vintage Cocktail Rings - Contact us and request additional pictures.